We’d love your help. Let us know what’s wrong with this preview of The Astrologer's Handbook by Frances Sakoian. The Complete Guide to the Interpretation of HoroscopesPrecise, comprehensive, and richly detailed, The Astrologer's Handbook moves far beyond the common 11 sun signs" to the important planetary aspects -- trines, squares, oppositions, conjunctions, and sextiles -- discussing their impact on the human personality and exploring their subtle but firm influence on all our live The Complete Guide to the Interpretation of HoroscopesPrecise, comprehensive, and richly detailed, The Astrologer's Handbook moves far beyond the common 11 sun signs" to the important planetary aspects -- trines, squares, oppositions, conjunctions, and sextiles -- discussing their impact on the human personality and exploring their subtle but firm influence on all our lives. To ask other readers questions about The Astrologer's Handbook, please sign up. This book has been with me for a long time. I see it as a reference. As my knowledge improves, so does the value I get from the interps. Pretty textbook, but still less textbook than the textest textbook on astrology you could ever find. Pull out a gem from a pile of seemingly generic paragraph and you may surprise yourself at the insight. 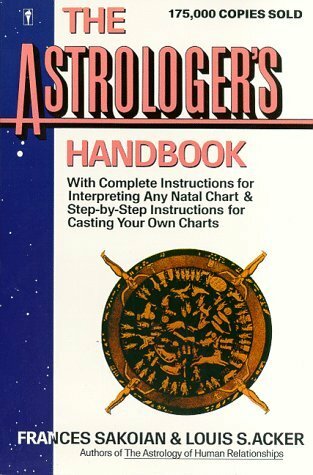 A standard birth chart interpretation handbook -- I still consult it regularly. Only flaw is that it came out in the 70s and has a flavor of Scorpio ruling Uranus at times. A book I've let friends borrow and not gotten back, a book I've lost and bought again and again. If you're serious about astrology, it's a must have, in my opinion. I've seen a lot of astrology books, and this one is a very nuts and bolts approach, not fluffy and new agey like some of them tend to be. Even though I barely pay attention to astrology anymore (I used to read charts as a side job), I won't let my bookshelf be without this book. I was so thankful this book was recommended to me when I first started studying astrology. It's what is more commonly known as an astrology "cookbook", or rather a book that tells you what each sign in planet, each planet in house, and each aspect means. The authors are very good about expanding and the write ups for each sign, house, planet, aspect combinations are well thought out, written, and for the most part extremely accurate. A must have on the shelf of any serious astrology student. 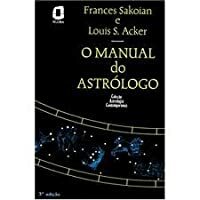 Great book for the astrology basics. This is a clearly written explaination of astrology and how to read a chart. This is a classic basic astrology "cookbook." For serious beginners, it's an excellent place to start learning about astrology. It also provides a useful reference for more experienced astrologers. best astrology book i've ever read.